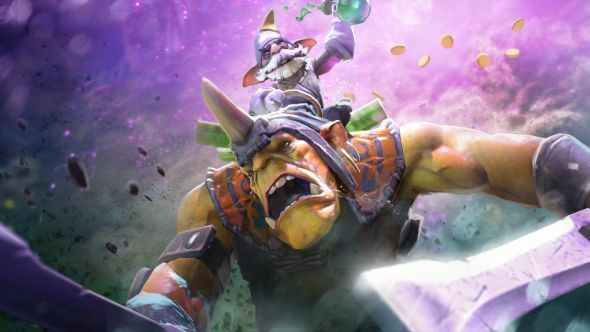 Dota 2 recently had its lowest-performing month since 2014. According to Steamcharts the average number of players in July was the lowest since October 2014, and the last 30 days have also seen another significant low. If you fancy bucking the Dota 2 trend, check out our list of the best Dota 2 heroes for beginners. It’s not like this is some complete disaster for Valve or the Dota 2 community – there are still nearly half a million people playing the game at any one time, and the peak player count over the last 30 days is still over 820,000 people. PUBG might have overtaken Valve’s MOBA on the Steam charts, but it’s worth remembering that it’s still the second most-played game on the biggest gaming platform in the world. Taking a closer look at player numbers, it’s pretty clear that Dota 2 reached a high point in terms of both peak and average player counts in early 2016. February of that year saw the highest number of average players, while its peak player count reached an all-time high of just under 1.3 million in March 2016. Since then, player counts have been in gradual decline. It’s also important to note that the while numbers dipped in July, they surged by 50,000 in August. And with PUBG continually on the rise and Destiny 2’s recent console release and Divinity: Original Sin 2 also out recently, it’s very possible that people are temporarily looking elsewhere for their gaming fix.